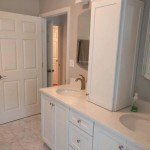 This master bathroom in Killearn needed an update. 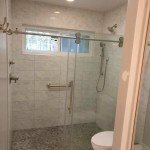 The shower was small with a swinging glass door, and the homeowners wanted to open it up. 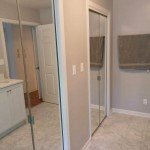 We removed a wall and rebuilt the closet, to create more room for a barrier free shower. Plumbing was moved to place hardware on opposite sides of the shower, so users can turn on and adjust the water without getting wet. 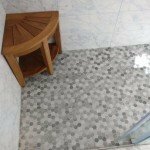 This master bathroom remodel features jack and jill sinks with a custom storage tower in between. 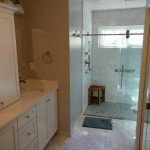 With aging in mind, our design includes features such as a barrier-free shower and grab bars for homeowner safety. The deep closet was taking up a lot of extra space, so we rebuilt the closet in smaller dimensions to create more space for the toilet area. After the closet was recreated, we used the original closet doors to keep on budget. 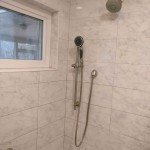 What is a Barrier-Free Shower? 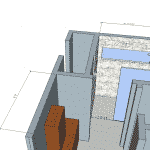 Barrier-free showers are designed to provide a safe, independent and convenient alternative to a traditional bath tub. 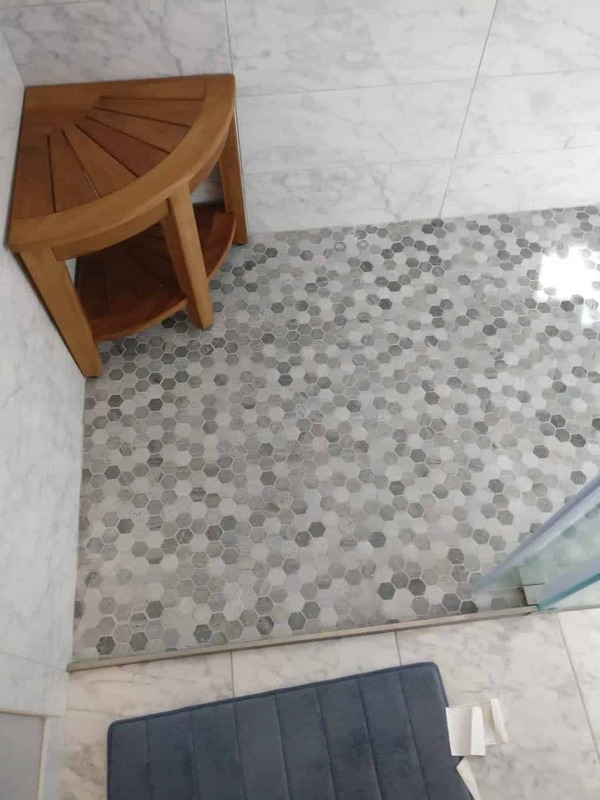 The danger of stepping into a bathtub is eliminated, and a low threshold handicap accessible shower can be used by people of all abilities.